Treat your friends or family to a Gift Voucher. With a large selection of paintings, prints or bespoke framing, your loved ones will be sure to find something they’ll love! You can choose any amount from £50, to be used either for framing or for an artwork. The vouchers are valid up to six months. 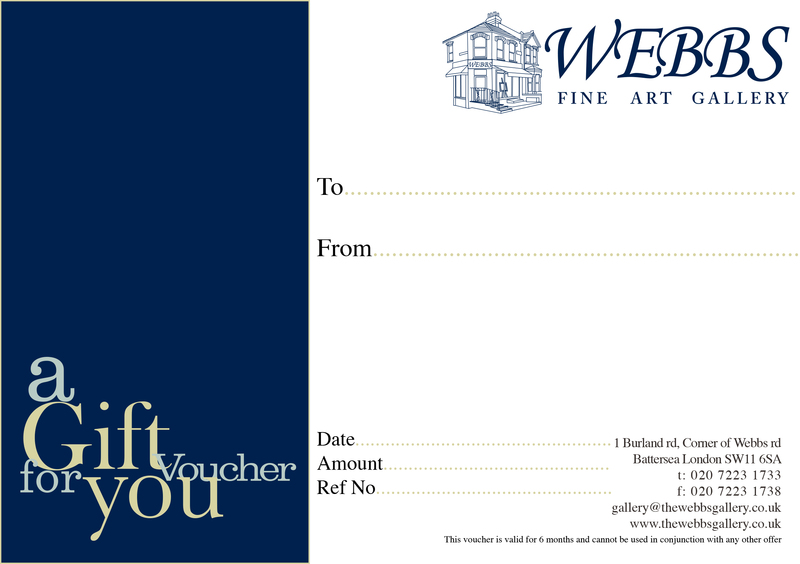 We can send the voucher via email, post or you can come to collect it at the gallery.